**Update – I’ll be starting a new club October 1, 2018. ***I will also be adding a Holiday Blends club by the end of the week. The Stampin Up Stampin’ Blends will be available to customers again beginning June 1st with 11 new colors added to the line-up! I have a great offer for you: the Crafty Stampin Blends Club. You can get all the “Blends” PLUS all the perfect accessories over a 4 or 8-month period. Find out more about the Stampin’ Blends here. I created custom product bundles that will get you creating full cards with these amazing markers. I have 3 types of Stampin Blends Club to meet everyone’s needs. These markers are just so much fun to play with. I love the rainbow of colors!!! 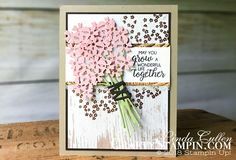 I joined Linda's Crafty Stampin Blend Club when it was first offered back in October. I am a new demo for Stampin Up with limited money but I wanted to see what the Blends were all about. Decided that Linda's deal was really good for me and joined. Best decision outside of joining Stampin Up I made. I have learned so much I now have all the blends and ladies I have showed them too are starting to buy from me. So Thank You so much Linda for being there for us beginners when we need someone to show us the way. I love being a part of the Blends Club. Each month I look forward to receiving my delivery of the new Blends , the matching cardstock, embellishments and ribbon all neatly organized and packaged. Thanks Linda for making it possible for us to obtain all of this at an affordable monthly cost. I enjoyed being a part of the Crafty Stampin Blend Club. Linda made sure that everything was on time and included things that were useful. 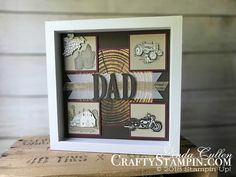 Great demonstrator for Stampin Up. The Whole Bunch Stampin Blends Club will ship the Original Blends club first, followed by the New Color Blends Club. If you want to get your full set of blends faster, sign up for both the New & Orginal Blends Clubs and you’ll get all the blends in 4 months. I’ll refund the difference of the actual shipping once your club mails out. Only available to US customers. By signing up, you are agreeing to have your credit card charged for $70 for 4 or 8 months. Orders will be placed with Stampin Up after all funds are received. Clubs will consist of 4 people. Once one club fills, the next will open. All products will be shipped to my home, divided and then shipped to you via Priority Mail. Price includes all shipping and tax. You will earn 2 Frequent Buyers Points each of the month. You will earn my monthly tutorials each of the month. Stamp Club Local & Stamp Club ToGo members cannot use Crafty Stampin Blends Club as their Stamp Club order. Stampin Blends Club does not include any stamp sets. Backorders might cause delays/changes to colors/per month. I’ll keep you posted in the event of any backorders. Is there anyway to get the markers in the new colors that are not listed in the new catalog? Like, Merry Merlot, Gorgeous grape, Shaded Spruce, Mango Melody and Mossy Meadow? I know they are in the New Color Assortment, but I already have four or five of those colors. Hi Mary, The Blends Club is for the Stampin’ Blends (alcohol based) which do not come in those colors yet. The Stampin’ Write Markers (water based) are only available as a full set (40 markers -p.202), the new color assortment (16 markers – p.182), or the Coastal Cabana/Lovely Lipstick Duo – p. 11, in the new Catalog. There’s no other combinations available.